Do you want to know how to start following a Wikiloc route? 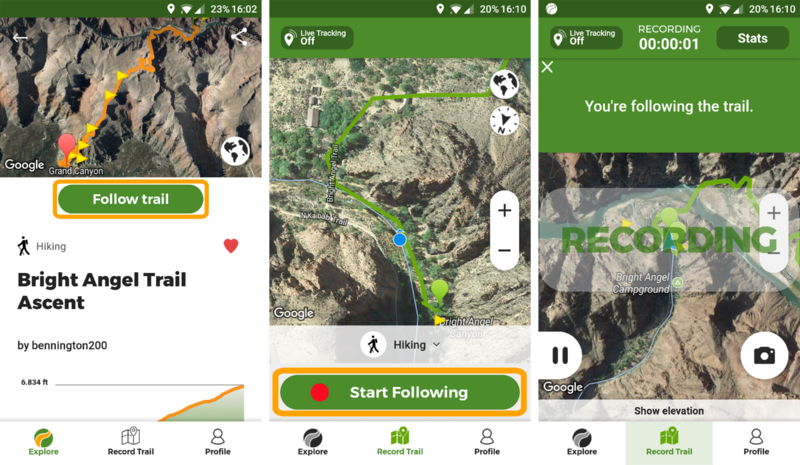 Whether you are searching the route in the "Explore" tab, or if you are in your "Profile" tab in "Your Trails" or "Favorites" sections, once you enter in the trail sheet you will see a "Follow Trail" button. Once you press it, your device will download the route and open the "Record Trail" screen. To start following this route, click the "Start Following" button. The trail will turn into a "following" status, also indicating "recording" in case you want to upload your own version after tracking. Once you get closer to the track, the device will give you navigation directions to follow the trail. Once the following is complete, you will have the option to "Save" and upload your own trail version to Wikiloc. 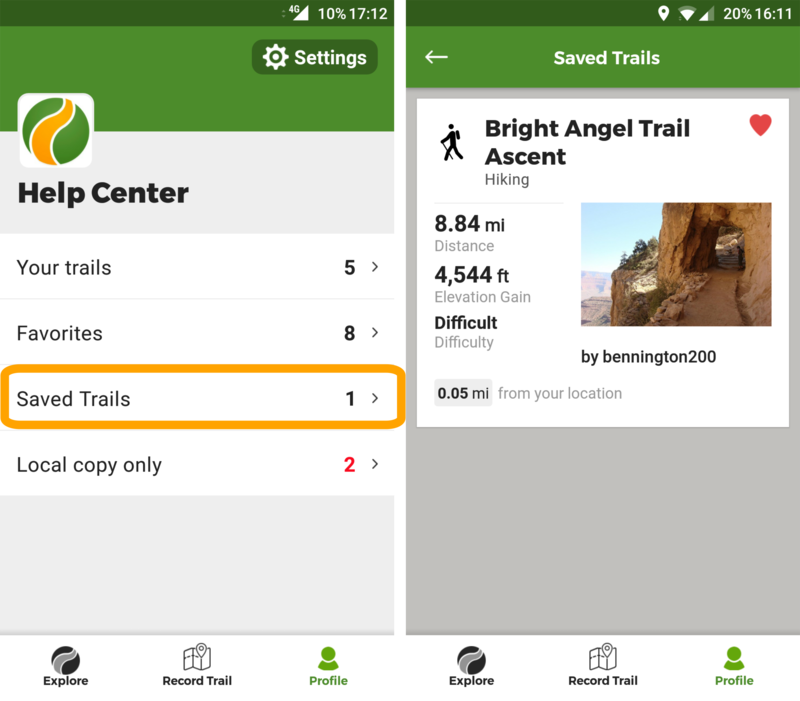 Remember that you can check your downloaded and ready to follow trails in the "Saved Trails" section of your " Profile" tab.